'I felt like I was seeing the Villa Savoye of the 21st century,' says Pedro Gadanho of his first visit to Garden and House, a tree-filled dwelling in the heart of Tokyo by the young Japanese architect Ryue Nishizawa. Lisbon-born curator and architect Gadanho had a number of such eye-opening experiences during a series of research trips to Japan: they included exploring Sou Fujimoto's House NA, more jungle-gym than dwelling, and walking through Junya Ishigami's KAIT Workshop at the Kanagawa Institute of Technology, its vast roof supported by so many small columns that Gadanho felt, he says, like he was in a forest. 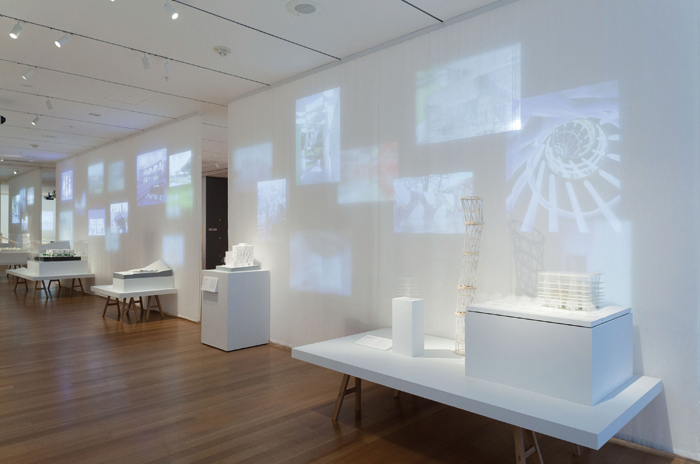 Gadanho's research resulted in the exhibition A Japanese Constellation: Toyo Ito, SANAA, and Beyond. His goal was to not just display the Japanese projects but to bring their sensibility to New York. To a remarkable degree, he has succeeded. Working with MoMA's exhibition designers, Gadanho created a series of rooms divided not by walls but by fabric scrims (three layers of Muji curtains provided just the right degree of opacity). Photos (many of them by Iwan Baan) are projected on to the scrims from both directions; seen from the front, the images are sharp; from the back, they are gauzy, creating the confusion between inside and outside, front and back, container and contained, that characterises so many of the 44 projects in the exhibition. The rooms themselves contain architectural models at a variety of scales but mostly the same colour - white - which, in any event, is the colour of nearly all 44 buildings. 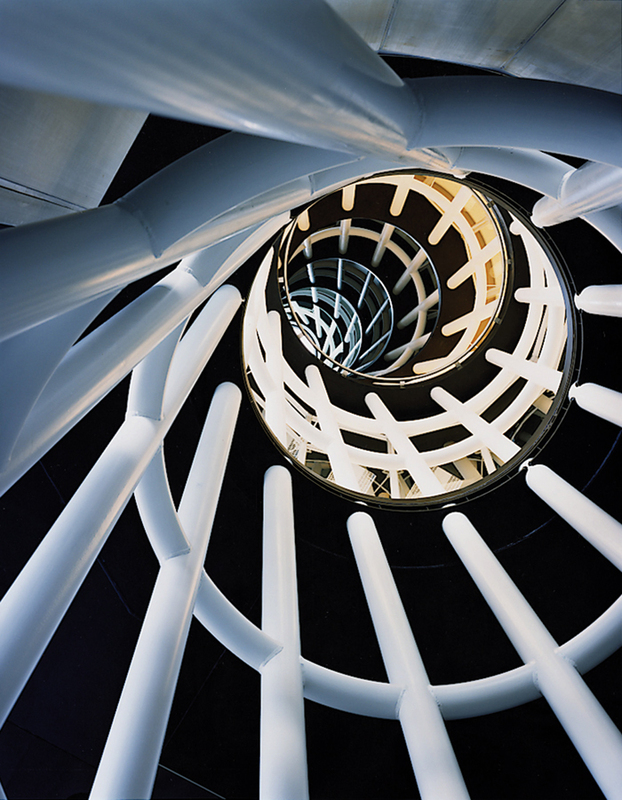 Gadanho (who left MoMA last year for Lisbon's new Museum of Art, Architecture and Technology, opening this autumn in an Amanda Levete building) began his research by meeting with Toyo Ito, the towering figure of Japan's recent architectural renaissance. Ito drew Gadanho a diagram that showed connections between three generations of architects. There were circles representing Ito and his protégé Kazuyo Sejima, and their protégés Ryue Nishizawa (Sejima's sometimespartner in the Pritzker Prize-winning firm SANAA), Sou Fujimoto, Junya Ishigami and Akihisa Hirata. Lines connecting the dots, without arrows, represented Ito's view that ideas flow both ways - that teachers are influenced by their students. Hence the Constellation concept, and the division of the museum's design gallery into seven rooms. (Sejima and Nishizawa each get a room, as does their partnership SANAA.) An adjacent space is devoted to a project, initiated by Ito, called Home-for-All, which has produced 15 buildings for victims of the March 2011 earthquake and its aftermath. Almost none of the buildings in the show has conventional structures. The alternatives devised by Ito are among the most ingenious, starting with his Sendai Mediatheque (2001), in which columns are replaced by bundles of steel 'cords' arranged in circles large enough to contain elevators, stairs and mechanical equipment - providing support and enclosure at once, and taking Louis Kahn's notion of server and servant spaces into the 21st century. SANAA is represented by a series of buildings in which labyrinths of curved glass walls subvert the distinction between inside and out. The 21st Century Museum of Contemporary Art, Kanazawa (2004) may be the most sophisticated of this group, but others, including the underappreciated Glass Pavilion at Ohio's Toledo Art Museum, come close. Among Sejima's own projects are the Nishinoyama House, a magnificent assemblage of apartments under tilted corrugated-metal roofs on the edge of Kyoto. Ryue Nishizawa is represented by the house that so impressed Gadanho, and by his Teshima Art Museum, not really an art museum but a conceptual art 'piece' beneath a giant, wafer-like concrete roof that requires no extraneous support. 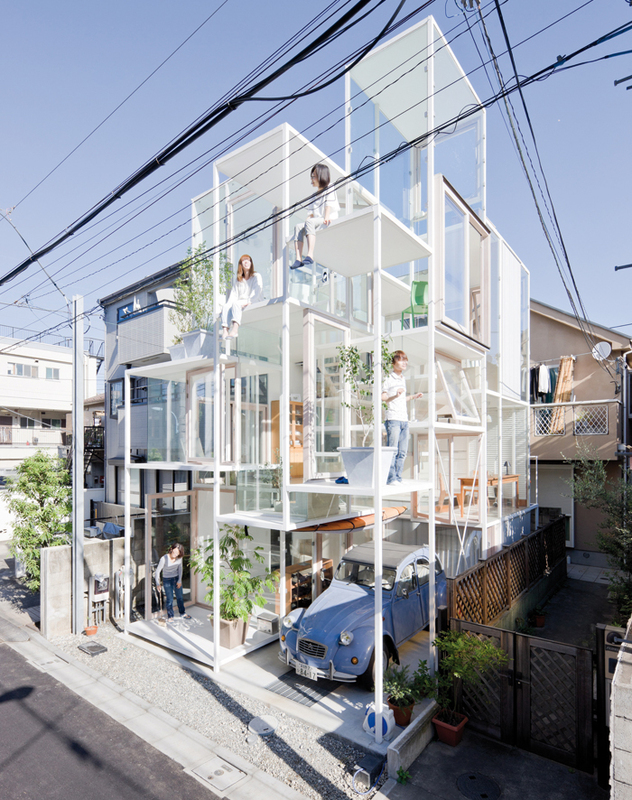 Sou Fujimoto, perhaps the most published of the youngest generation of Japanese architects, is represented by houses that are barely recognisable as houses, given their profusions of living spaces that interlock in complex plays of plan and section. (The House NA distributes 93 sq m of living space over some 21 levels.) As the relentlessly inventive Fujimoto puts it, his work is leading toward a future in which 'myriad gradations will exist between interior and exterior'. He proved it with his 2012 Serpentine Pavilion, a kind of white-steel cloud hovering over Kensington Gardens. (The yearly Serpentine commission has provided the only chances, so far, for these architects to work in England: Ito in 2002; Sanaa in 2009; and Fujimoto. The show, beautifully installed as it is, is light on information. And, because its family tree begins with Ito, it necessarily omits important chapters in the evolution of postwar Japanese architecture, in which Ito was himself influenced by the Metabolists, the architects who saw buildings as akin to living organisms. Both problems are largely solved by the book accompanying the exhibition, edited by Gadanho and Phoebe Springstubb. An essay by Teronobu Fujimori explores the influence of Le Corbusier on Kenzo Tange, and Tange's on Ito. Other essays, by Taro Igarashi and Julian Worrall, help complete the picture. Even those who can afford to visit Japan would have a hard time seeing all the buildings in the exhibition, many of which are far from major cities. Gadanho has brought them to MoMA; now it would be lovely if the show could make additional stops before the models, drawings and photographs are returned to their architects' Tokyo studios.